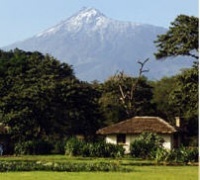 Snow Crest Hotel is located along the Arusha – Moshi Highway at Kwangulelo Area in Arusha, Tanzania. The Hotel is approximately 10 minutes (7Km) drive from the Arusha City and 30 minutes (45Km) from Kilimanjaro International Airport (JRO). The Hotel has a splendid view of lush banana plantations that blends with a whispering breeze to create a stillness of utter relaxation. It’s locality makes it a Gate – way centre to the famous Tanzania National Parks on this northern circuit. Mountain Village Lodge is situated only 15kms from Arusha and is therefore an ideal venue for both the traveling businessman or as a start or finishing point for any safari. The 46 “rondavel” style thatched huts are clustered together to give the impression of small individual Masai villages. Set in lush botanical gardens overlooking Lake Duluti, wonderful water features complement the indigenous flowers and birdlife abounds. All huts are en-suite with shower, mosquito nets and a private verandah. The main public area is in an old colonial house, which has been tastefully adapted and the central Fountain Restaurant serves organically grown fresh products. Recreational activities include guided bird watching walks around Lake Duluti, horse riding or traditional dancing on the lawns in the afternoon. Located in Arusha town, the Impala Hotel is set in a beautifully landscaped garden with a profusion of flowers and birds. Large tour operators mainly use it to house guests overnight before safari or departure back home. All 100 rooms include mini bars and television and all have a different style and all have on suite bathrooms. First built in 1894 and then purchased in 1927 by an American coffee farmer called ‘Kenyon Painter’, ‘The Arusha’ hotel has been home to many travelers on their journey from Cape to Cairo. 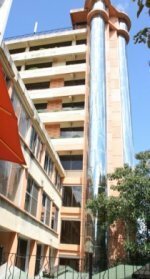 The Arusha, formerly known as the New Arusha Hotel, underwent an extensive renovation and refurbishment program is now the only five star hotel in Arusha town. The Arusha has 86 rooms including 4 suites, 25 deluxe rooms and 57 standard rooms. Elegantly furnished with en-suite bathrooms equipped with bathroom amenities and tea and coffee making facilities. Each room is fitted with satellite television with a selection of channels, hair dryer and an electronic safe. Rooms also have direct dial phones, wireless internet and air-conditioning. Buffet style breakfast and dinners with appetizing contemporary modern cuisine is prepared from the freshest produces, flavored and garnished using only the highest quality. Take an aromatic tour and experience the divine a la carte menu marvelously displayed showing the chefs innovative culinary talent and extensive wine list tempts even the most jaded palate. Afternoon high tea on weekends is a decadent delight! The dining experience would be incomplete without aromatic coffees, mouth watering home made desserts followed by warm cognacs and brandies in ‘Hataris’ Tavern (named after John Wayne’s movie made in 1962). John Wayne known as Duke to his friends, together with Elsa Martin Elli and the rest of the cast were frequent visitors to the hotel. Hataris has a large television screen to watch the latest sporting events and news made complete with the relaxed informal and comfortable surroundings. Arusha Coffee Lodge lies cradled in the endless acres of Tanzania’s largest coffee plantation. This exclusive, boutique hotel lodge has been designed around the farms’ original plantation homes, radiating the warmth and invitation of the old colonial plantation homes historically distinctive to the coffee plantations. Luxurious accommodation, fine cuisine, and roaring fires, beckon to the most seasoned traveler. The Arusha Coffee Lodge accommodation consists of 18 plantation houses lavishly furnished, featuring split-level living room area and a private deck patio. Offering every guest amenity and fancy, the Arusha Coffee Lodge is the place to relax and rejuvenate before or after a Tanzanian Safari. Laze around the swimming pool, enjoy a sun-downer at the Safari Bar, unwind after a delectable meal in the lounge with a good liquor and a fireside chat. Beside the turning to Arusha National Park, and immediately opposite Rivertrees, Mount Meru Game Lodge & Sanctuary has been welcoming visitors since 1959 to fund its animal rescue and rehabilitation scheme. Among verdant lawns and mature trees, there are 17 en-suite bedrooms located in a collection of simple painted buildings and a few varnished log cabins. Though they are all individual in style, each features wrought iron beds, white linen, natural mats and tasteful touches. Each room has its own small veranda, but meals and fireside night-caps take place in the long-established main house. The Sanctuary allows for close up viewing of plains game, such as eland and zebra, and also water birds - especially at the daily afternoon feeding, when saddle-billed storks, yellow-billed storks and egrets among others abound. Terrific sightings of habituated blue monkeys and striking black and white colobus are virtually guaranteed from your room. Up-close animal experiences make this an especially good place for families to begin or end their safari; but the welcome shade of the terrace's mango trees is equally attractive to those simply looking to sit and chill. At Moivaro Lodge we will ensure that you are looked after in a unique, friendly and peaceful environment, helping you to prepare for your safaris and cosseting you on your return in the evening. Relax and enjoy the beautiful vista of Mount Meru from the comfortable veranda, or perhaps to laze at the pool nestling in the midst of tropical trees and coffee plants. Is a Tourist Class Hotel situated in the Green Belt North of Arusha Municipality (2.5 kms from the Clock Tower). This romantic resort is an elegant home in spacious natural gardens with beautiful Tropical flowers and lawns which are the welcoming smiles, including a sparkling swimming pool and adequate parking space, yet only minutes walk from the buzz. Tanzanian traditional hospitality is experienced on arrival at the lodge. The beauty of Africa in a truly romantic setting is witnessed in tastefully decorated thatched rondavels set in African traditional style with two self contained large rooms. Each room is significantly larger than the normal standard found in similar tourist hotels and lodges, with twin beds and a balcony which provide picturesque views. Rooms with triple and Queen beds are available on request.It is owner run with African hospitality.